The credit card companies are working hard to recoup the losses they may experience as a result of the new Credit CARD Act. Although the act reduces and prevents many different types of fees, the credit card companies have found some tricky legal ways around the rules. For example, they can’t charge a high annual fee so may instead charge a high processing fee to get a new card. Additionally, they are rapidly increasing fees in the areas where rate hikes are not prohibited. Here are 7 fees that credit card companies are getting tricky with. Make sure that you look at these carefully on any new credit cards as well as on any communication updating your existing credit cards. Annual Fees The Credit CARD Act limits the total allowed amount of an annual fee to 25% or less of the borrower’s credit limit. Many credit card companies are increasing annual fees to push closer to this 25% limit. 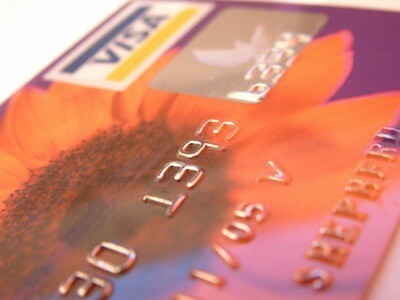 It’s still best for you to find a good credit card that does not charge you any annual fee. Upfront processing fees. One way that credit card companies are trying to sneak around that 25% limit is to effectively charge your annual fee in advance. They do this by charging an upfront processing fee in order for you to qualify for the credit card. Fees for these cards can be as high as several hundred dollars and are generally targeted at no-credit and bad-credit borrowers. Beware of credit cards that are asking you to pay a large fee to get the card. Balance Transfer Fees. Reports indicate that the average cost of balance transfer fees has climbed 33% since the Credit CARD Act has been passed. This is an area where fees continue to be allowed and credit card companies feel that this is where they can gain back some of the financial losses that accompany the new credit card rules. You want to look for good deals on balance transfers that offer good interest rates but also offer low fees for making the transfer. In some cases, it may be better not to bother transferring balances to a lower interest rate if the cost to make the transfer is high and the likelihood of rapid repayment is also high. Cash Advance Fees. For the same reason as with balance transfer fees, the fees that are associated with getting a cash advance are getting higher and higher. Your number one choice here is to not take out cash advances at all. They cost you a lot of money in the long run. If you must get cash, you may want to see if you qualify for a low-cost personal loan. If you are someone who frequently takes out regular cash advances and you refuse to change this bad habit then you want to look for a card that offers ongoing low interest rates with a low fee, something that might be tough to find right now in the credit card market. Foreign Transaction Fees. This area of fees is climbing more than any other area of credit card fees right now. Reports indicate that the fees have increased 50% or more since the Credit CARD Act was passed. The solution here is a very simple one: don’t use your credit cards when traveling to foreign countries. Use cash. Use travelers’ checks. If you must access money from a credit card, do your research before the trip. It may actually be cheaper to take out a cash advance than to incur a large number of foreign transaction fees while you’re on the road. Explore your options and make a smart choice. Penalty Fees. Hopefully you avoid penalty fees (such as late payment fees and over-limit fees) anyway. If you make these bad mistakes, though, you’re probably going to start paying even more than before because these fees are rising slightly on many cards. Hopefully that’s incentive to avoid those penalties! Inactivity Fees. Technically, inactivity fees are not allowed under the Credit CARD Act. Theoretically, you can keep your card as long as you want without using it and not be charged. However, sneaky credit card companies are finding a way around this by setting minimum spending requirements. You aren’t charged an inactivity fee as long as you meet the minimum amount of spending. In other words, you’re still not allowed to leave the card inactive. This is a questionable practice that may eventually be phased out but it’s something to watch for at the current time. What are some of the “good” credit card companies that are avoiding adding sneaky fees? Are there any? These fees are not “sneaky”. They’re explicitly stated in the cardholder agreements. If you’re too lazy to read an agreement, that’s not the card issuer’s problem. Irresponsible cardholders whine to the government that they can’t pay bills they incurred, and legislators ramp up obligations on the card issuers. The card issuers need to recoup their losses somehow, so they find a legal way to do so. Naturally, we should blame the card issuers for this. Is anything anyone’s one responsibility anymore? If you don’t want to pay a higher balance transfer fee or cash advance fee, read the agreement before you consent to the card. Better yet, don’t be an idiot and pay your bills in full monthly. The Federal Reserve has issued regulations, implementing provisions of the Credit CARD Act, that address issues 6 and 7. Penalty fees can not be more than $25 for the first violation (or more than $35 for a second violation of the same type in the next 6 months). The Fed also explicitly banned inactivity fees – including the minimum spending approach you mentioned. Both of these restrictions took place on August 22, 2010. You can find the Fed’s rules in 12 C.F.R. 226.52(b). @Jenna – Love your question – am definitely going to look into that to find out more. @Greg – It’s true that these fees are stated in the agreement. “Sneaky” just refers to the fact that they are in fine print. A lot of people still have trouble reading and working out the meaning of some of that fine print. But you do have a good point. @Steve – Thanks so much for sharing that information! Great to know that the government is quickly getting on top of some of this stuff. Greg, You must be a banker or work for the industry. There isn’t anyone with common sense that will say, charging people 30% interst on a monthly basis isn’t right down robbery. Yes they rob the ones who can least afford it, the low income people. You get the companies to open their books and see what their actual losses are? What percentage are actually non paying? What percentage do they want for tax purposes? Even with their losses, banks are still making good money. Full disclosure, I am in the payments industry but on the merchant side of things not the issuer. @ Al – if you signed up for a card that had a 30% monthly rate, I would have to check your intelligence. That kind of monthly rate would equate to like a 360% annual rate which is outlawed in every state I think. In AZ they shut down the Pay Day loan industry because their 2 week fees equated to like 200% annual. A 30% annual rate is crazy in my view but if a person agrees to it, who is the dummy there? BofA raised the rate on a card I have from 9.99 to 19.9% (I have no balance on it though) so guess which card I don’t use and likely will cancel. The rates are usually not in the “fine” print so it’s hard to say “I never knew it”. We all need to take responsibility for our actions and if you go on a credit card spending spree, did the bank force you to do it or did the lack of discipline and attitude of “I’m entitled to a flat screen” do it? No, zero connection with the credit card industry. Not a banker, either. If I signed an agreement that guaranteed a 15% rate, then the issuer charged me 30%, that would be “down robbery”, whatever that means. It also wouldn’t hold up in court. Heck, even the author of the post agrees that “sneaky” just means putting things in fine print. She doesn’t equate it with theft. It sounds like you think it’s OK to break into a rich person’s house and steal things, as long as you leave most of their stuff intact. But please, continue blaming other people. Not only is it easier than taking responsibility, it’s apparently our new national pastime. Trevor, I didn’t sign up for 305 interest. The big city guys raised a lot of people to the default rates. When you lose your income you will also lose your good interest rates. This is the same as all financial institutions . The more someone needs or has to have something the more it cost them. Mortgages and bank loans with good rates are for people who really dosen’t need them. They have the ability to pay for what they want without the loans. The card companies can change the rates anytime they want to. If you don’t fit a profile that any financial institution wants you are in trouble. If you go through foreclosure all you can do is use cards if you have them. You certainly won’t get any other kind of loans. Your ability to pay makes no difference. A lot of the card companies will automatically raise your rate when they see a foreclosure on your report. Why do people use credit cards? There is generally two reasons. 1. convenience for those that don’t need them. 2. Out of necessity for those that don’t qualify for other loans. If you become disabled with no date to return to work can you get a bank loan? If not, What do you do in order to take care of your family? You use what you have! I say this for one reason. With all financial institutions and the credit rating companies they use. It dosen’t matter at all why someone does use the credit they have. You are nothing but a number to them. All my working life I was able to stay with local institutions but now they are all gone. What happened to short term loans at the banks? I used them for many years but they are gone also. They will issue you a credit card though. Why? Could it be the rates they can charge. @Kathryn / Awesome! Let me know what you find out.